Earn $5.05 in Rewards credit (505 points) What's This? 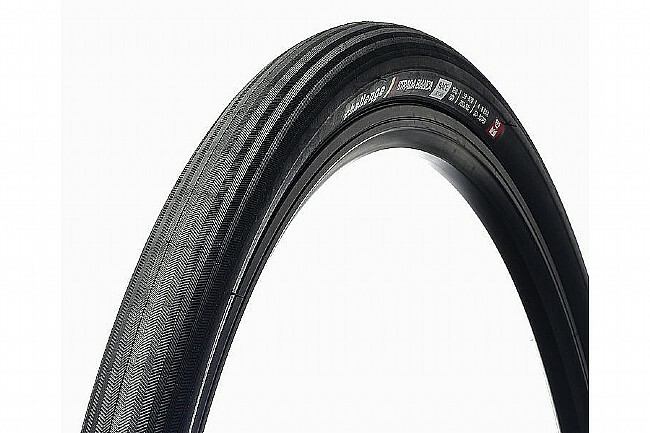 The Challenge Strada Bianca Race Tire's road-style tread is efficient and at home on gravel and dirt roads. By offering a larger volume tire to help provide compliance when the going gets rough, the Strada Bianca Race simultaneously increases comfort and improves traction. The mixed tread pattern provides effective grip on a variety of terrain, while the under-tread PPS flat resistance deflects punctures or pinch flats. 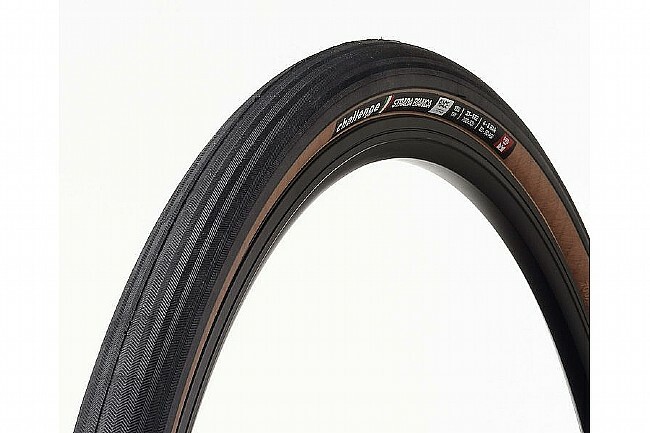 The Challenge Strada Bianca Race Tire is available in two widths: 33mm and 36mm. Claimed weight: 355g (33mm), 375g (35mm).